T.J. Dillashaw claims he’s going to ‘ruin’ Cody Garbrandt’s career at UFC 227. 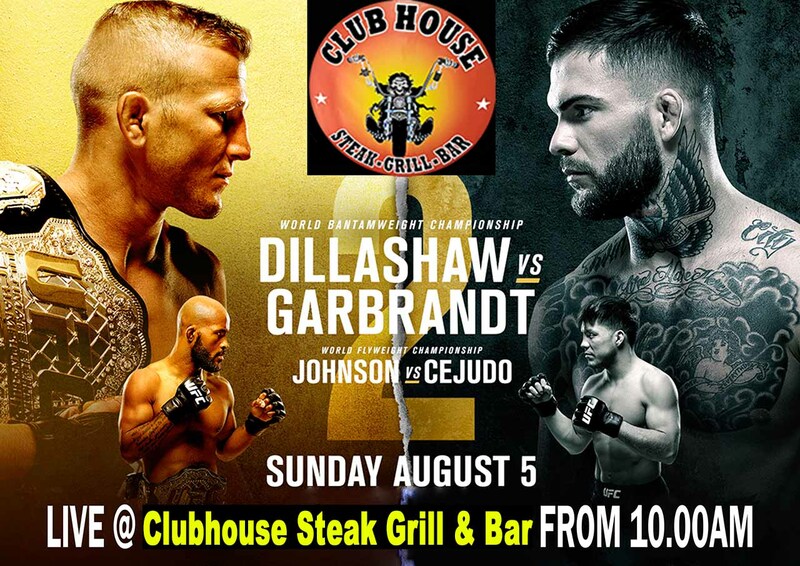 Catch all the action Live at the Clubhouse in Sanur. Last November, after a year-long and very public war of words, Cody Garbrandt and T.J. Dillashaw finally locked horns at UFC 217 for the UFC bantamweight crown. And after the two former teammates dueled, it was Dillashaw who was the last man standing. A right hook spelled the beginning of the end for Garbrandt, who was finished by Dillashaw by ground-and-pound in second round. It was first loss of Garbrandt’s professional career. For Dillashaw, the victory secured UFC gold for the second time in his career; the first coming at the expense of Renan Barao in 2014. In his first run as champion Dillashaw defended the belt twice, once against Joe Soto and once against Barao, before losing the title in a razor-thin split decision to Dominick Cruz in early 2016. The first title defense of his second championship run will be against the man he just beat. Dillashaw’s knowledge of Garbrandt extends further back than their fight last year. The pair trained together for years at Team Alpha Male, before Dillashaw moved to Colorado to continue working with former TAM coach Duane Ludwig. When asked if there was a risk of knowing too much about your opponent and whether this could lead to a dangerous surprise, Dillashaw said he didn’t think so. Even though he is preparing for the best version of Garbrandt possible, Dillashaw said he believed his TKO victory at UFC 217 has to have had an impact on his opponent.